How do I know the Holy Spirit lives in me? Living in today’s society is not easy. You may be cleansed by the blood of Jesus, but how are you going to keep clean? The world is full of wrongdoing, perversion, and misguided ideas. People are driven by their desires. It’s a struggle to walk in Christ’s footsteps when those around you are going in the opposite direction. He knew the persecution and suffering they would face for the sake of His Name. He knew that it was important for them to have the abidance of His power. The Holy Spirit, the Spirit of truth, opens our limited understanding so we can understand God’s will and ways (see 1 Cor 2:11). He works to transform our lives so that we can overcome the temptations of the flesh and live a fruitful life (Rom 8:13). And the Holy Spirit sets us apart as God’s holy people, sanctifying us and sealing us until the day we enter God’s heavenly kingdom (1 Cor 6:11; 2 Thess 2:13; Eph 1:13-14). God promised through the prophets that He would pour out the Holy Spirit on His believers to live in their hearts: “And I will put my Spirit in you and cause you to walk in My statutes, and you will keep My judgments and do them” (Ezek 36:27). The Bible tells us that “God is Spirit” (Jn 4:24). The Bible also says, “the Lord is the Spirit” (2 Cor 3:17). The Spirit of God is the Spirit of Jesus Christ; He is the Holy Spirit. Jesus called the Holy Spirit the “Helper” or “Counselor” (or “Comforter,” Gk. parakletos). Like a personal guide on our heavenly pilgrimage, He is available at all times and abides with us forever, so long as we live by God’s words. He teaches us to understand the truth and to walk in God’s ways. In our weakness, the Spirit strengthens us and helps us to pray, making “intercession for the saints according to the will of God” (Rom 8:26-28). The cleansing we receive through water baptism merely marks the beginning of our journey. Sanctification is God’s life-long work on His believers. We cannot overcome our sinful nature and the devil’s temptations by our determination alone. The Holy Spirit, God’s Spirit abiding in us, gives us the transforming power we need to live out Christ’s perfect example as children of God. God gives the Holy Spirit “to those who obey Him” (Acts 5:32). Since the Holy Spirit is the Spirit of truth, you need to study and obey the true gospel in order to receive the Holy Spirit. Jesus told His disciples that the heavenly Father gives the Holy Spirit “to those who ask Him” (Lk 11:13). We ask God for the Holy Spirit through prayer. With faith in God’s promise, through persistent prayer and earnest longing, you will receive the Holy Spirit as the Lord has promised. Since the first time God poured out His Holy Spirit on the day of Pentecost (Acts 2), believers who receive the Holy Spirit speak in tongues. 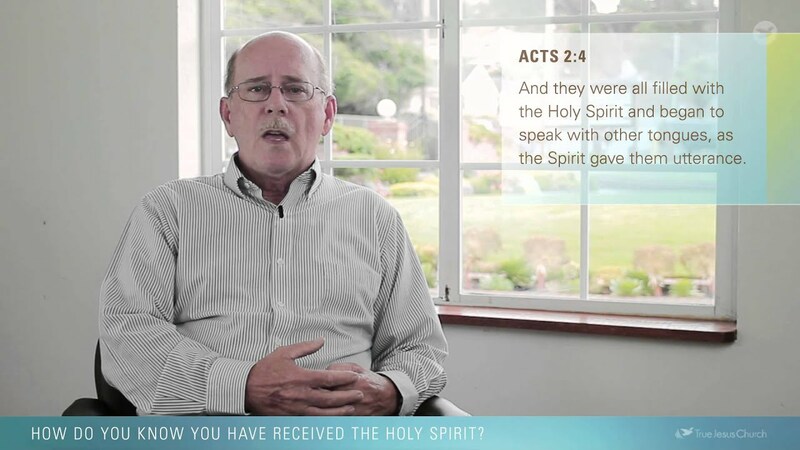 Receiving the Holy Spirit is an experience that is audible and often visible. It is audible by the sign of speaking in tongues. It is often visible by the movement of the body. 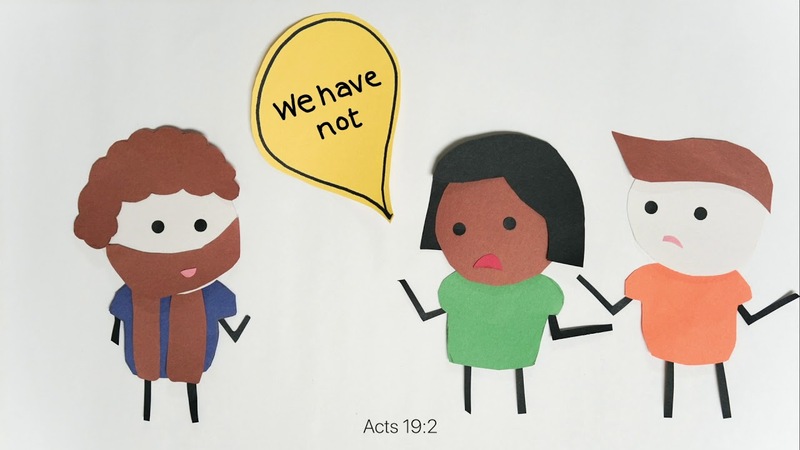 Jesus’ disciples said that they as well as observers could “see and hear” the pouring out of the Holy Spirit (see Acts 2:33; also Acts 10:45-47). When the Holy Spirit comes upon you, as recorded in Scripture, you will be moved to speak in unknown tongues. You may also experience warmth and power from above. The Holy Spirit is from God; thus the experience is not a frightening one, nor one where people lose control or consciousness. You will remain conscious and may end your prayer any time. If the Holy Spirit dwells in you, you can speak in tongues whenever you pray. Speaking in tongues is not a one-time experience only. Through prayer in tongues, “the Spirit Himself makes intercession for us with groanings which cannot be uttered” (Rom 8:26). When you ache so deeply that mere words cannot convey your pain, or when a “thank you” hardly expresses your appreciation to God, the Holy Spirit prays for you, replacing your earthly words with a spiritual language. You will find prayer in the Spirit more satisfying because the Holy Spirit enables you to know God’s will and truth. He will express your needs more effectively than human language can. If the Holy Spirit fills you, then you will manifest God’s nature. The Bible teaches us “the fruit of the Spirit is love, joy, peace, longsuffering, kindness, goodness, faithfulness, gentleness, self-control” (Gal 5:22-23). Jesus said, “By this My Father is glorified, that you bear much fruit; so you will be my disciples” (Jn 15:8). If you live by the Spirit, you will no longer seek to gratify the desires of the flesh, but to glorify God (Gal 5:16). In doing so, you will find that peace, joy, and love flow continuously inside you. The Lord Jesus said, “the water I shall give [a believer] will become in him a fountain of water springing up into everlasting life” (Jn 4:14). With the fullness of the Holy Spirit in you, your heart will be satisfied, and never thirst again.